“The Album” was simply an incredibly popular release, yielding two British number one singles in “The Name of the Game” and “Take a Chance on Me”. The opening number dominated by synthesizers and soaring larger-than-life vocal flourishes, is followed by the more lyrical Take a Chance on Me, with its luminous a cappella opening. The whole album is like that, effortlessly straddling hard rock, pop/rock, dance-rock, and progressive rock – though the hits turned to stand out in highest relief, there are superb album tracks here. 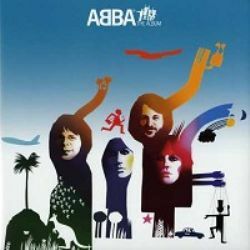 ABBA’s fifth album was a marked step forward for the group, having evolved out of Euro pop music into a world-class rock act over their previous two albums, they now proceeded to absorb and assimilate some of the influences around them, particularly the laid-back California sound of Fleetwood Mac (curiously, like ABBA, then a band with two couples at its center), as well as some of the attributes of progressive rock. That they did this without compromising their essential virtues as a pop ensemble makes this album seem even more extraordinary, though at the time nobody bothered to analyze it — The Album was simply an incredibly popular release, yielding two British number one singles in “The Name of the Game” and “Take a Chance on Me” (which made the Top Five in America, their second-best showing after “Dancing Queen”), and achieving the quartet’s highest-ever showing on the U.S. LP charts, reaching the Top 20 and selling a million copies in six months. The opening number, “Eagle,” dominated by synthesizers and soaring larger-than-life vocal flourishes, is followed by the more lyrical “Take a Chance on Me,” with its luminous a cappella opening. The whole album is like that, effortlessly straddling hard rock, pop/rock, dance-rock, and progressive rock — though the hits tend to stand out in highest relief, there are superb album tracks here, including the driving, lushly harmonized “Move On” and “Hole in Your Soul,” which provides guitarist Lasse Wellander with a beautiful showcase for his lead electric playing. The second side of the album is dominated by material from a “mini-musical” called Girl with the Golden Hair that Benny Andersson and Björn Ulvaeus wrote for the concerts on their just-ended tour intended to be used in a dramatically coherent storytelling context. Two of its songs, “Thank You for the Music” and “I Wonder (Devotion),” are less exciting than the straight rock material found elsewhere on the album, though the former became a popular concert number for the quartet, while the latter is the kind of lushly melodic, moodily reflective song that could easily have graced a Barbra Streisand album of the era. The closer, “I’m a Marionette,” however, is a startlingly bold attempt to recast the influence of Kurt Weill in a hard rock mode, ending The Album on a high note, musically and artistically.